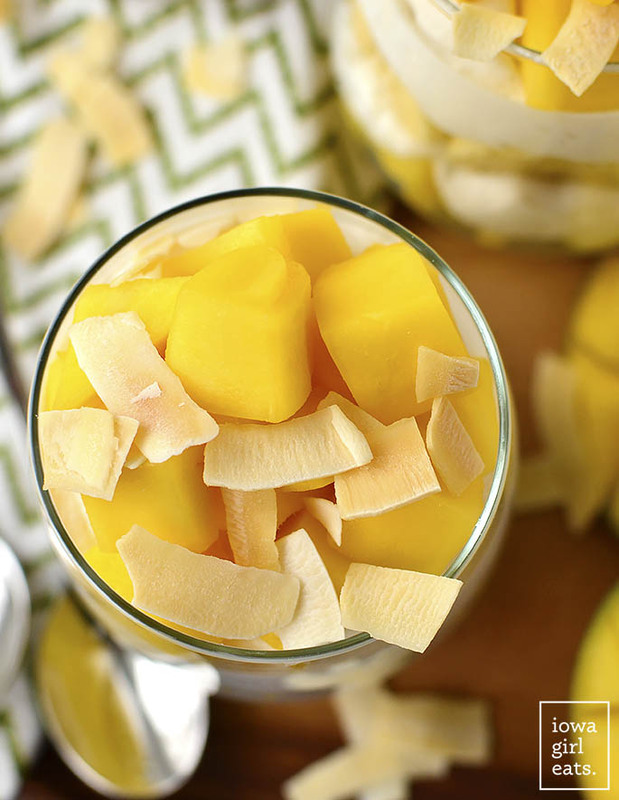 Banana-Mango Pina Colada Parfaits will give you the taste of the tropics without having to step foot on a plane! 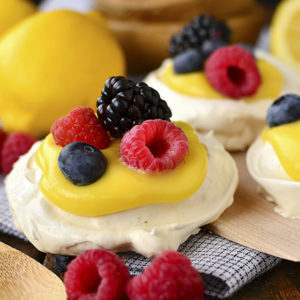 This fresh and gluten-free dessert recipe is the perfect escape, and great for entertaining. Who’s got the spring break itch? And no, I’m not talking about your scaley shins so desperate for sun and humidity that they keep you awake, furiously scratching at night. Nope, not those! I’m talking about the need for sun. Warmth. Vitamin D, baby! If you’re anything like me, January 3rd rolls around and you’ve all but got your bags packed. I mean, it’s been gloomy and cold here for oh, I don’t know, 67 days in a row, and after jealously following my older brother and sister-in-law’s recent vacation to Maui, and my younger brother and his wife’s honeymoon in Thailand, I’ve got paradise on my mind. We have no plans to take the kiddos to the beach anytime soon (file this under things I’m not upset about!) so I’m bringing a taste of the tropics to my kitchen instead. No beach bartender on hand? No problem! 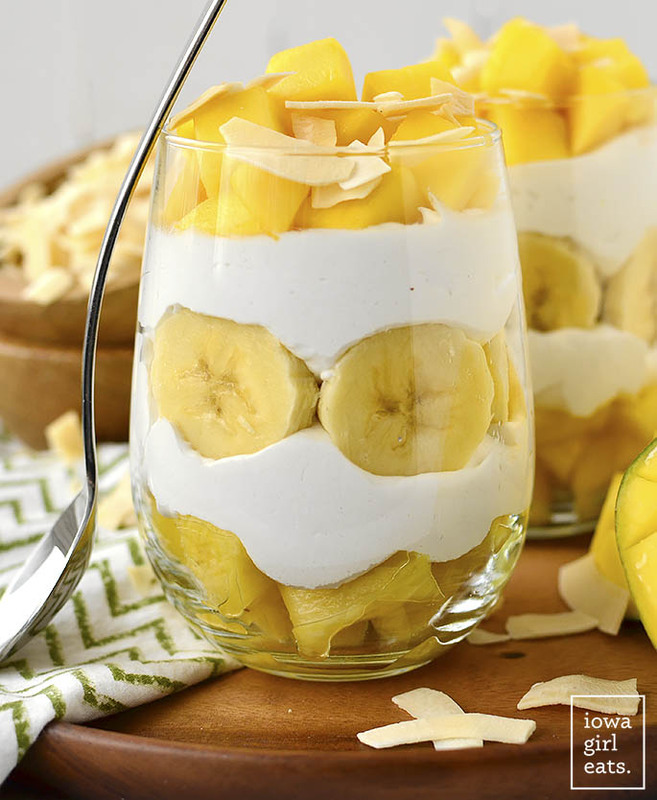 Whip up these gluten-free, dairy-free, non-alcoholic Banana-Mango Pina Colada Parfaits and pretend you’re sitting here instead of, well…literally anywhere else. This spring Ben and I will celebrate our 10 year anniversary (HOW?!) and we’re still trying to decide where to celebrate the occasion. Since Ben split his time between squinting and sweating during our honeymoon in Cabo San Lucas (Jamaica was great because we could lounge in the 80 degree bay with cold drinks in hand!) I’m thinking a beachy destination isn’t in the cards. That said, these tropical fruit filled parfaits are even more appreciated right now. 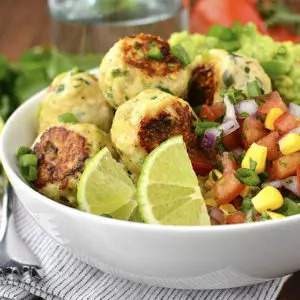 If you’re craving a quick escape like me, or are having friends over for a little get together – these are the perfect little treats to serve. In a stemless wine or cocktail glass (really reinforces that vacay feeling, no?) layer fresh pineapple, banana, and mango with coconut whipped cream, then top with toasted coconut chips. 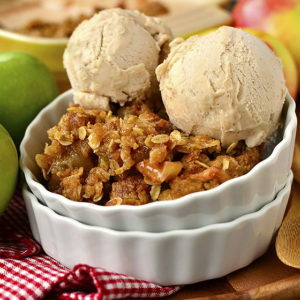 Cooling, fresh, and totally satisfies a sweet tooth without going crazy. I know you’ll love them! Do you have spring break plans yet? Share and let us live vicariously through you! 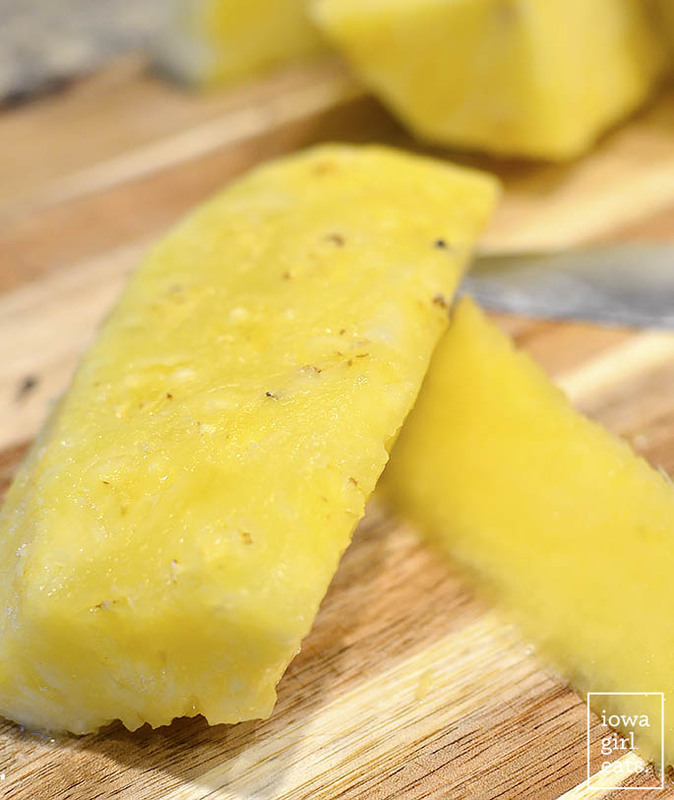 Start by chopping the fresh fruit layers – pineapple, banana, and mango. It’s been forever – years, maybe? – since I showed you how to process a fresh pineapple so let me break it down for you again. First slice the top and bottom off 1 pineapple with a large, sharp knife. A sharp knife is what’s going to make this process a success or not, so make sure you’re using one that can handle it. 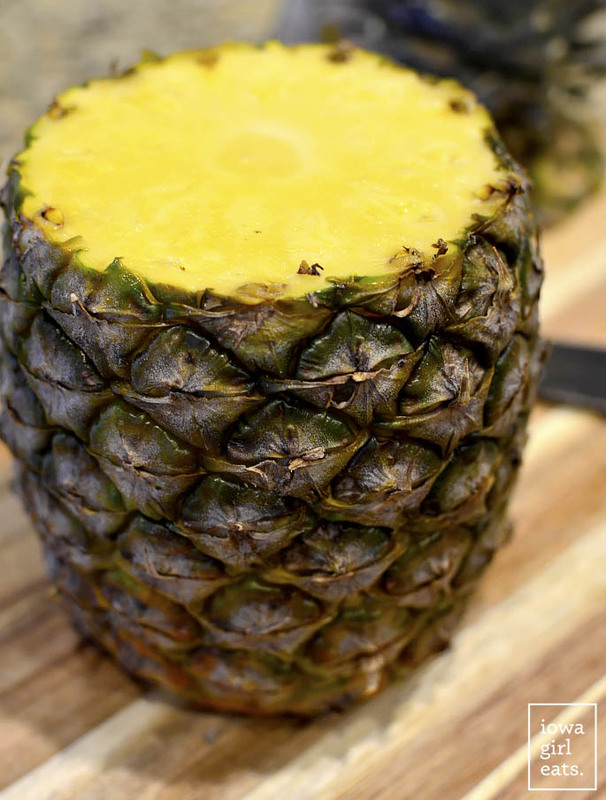 Next run your knife down the sides of the pineapple to remove the spiky peel. 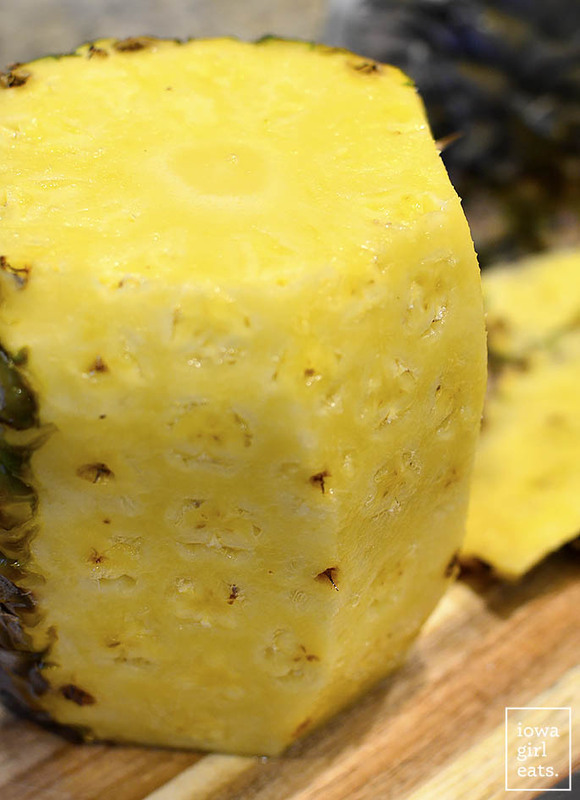 Slice off a little more then you think you should to get rid of all the “eyes” on the pineapple. 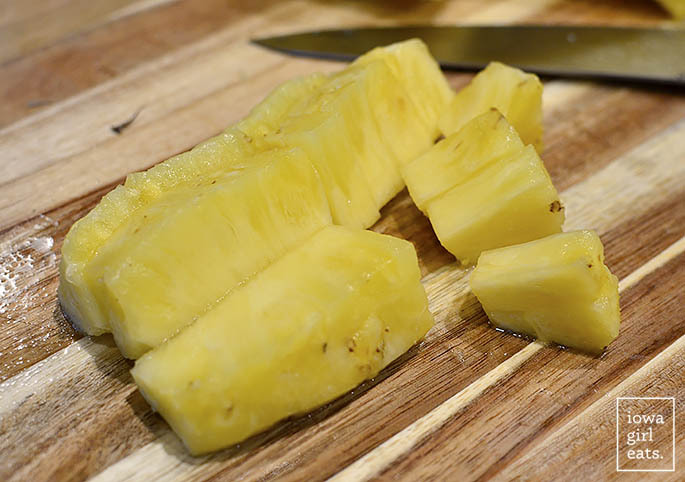 Next, while the pineapple is standing up, slice it into quarters. Lay each quarter on its side then slice the core out on a diagonal. Finally, slice the cored quarter into strips then chop into pieces. Done! Next, mangoes. To be honest, selecting ripe mangoes can be difficult. I usually search for mangoes that have a mixture of blush and green tones but truly the best test of ripeness is to go by feel. If the mango easily gives to the pressure of my thumb pressing on the peel, it should be ripe. That said, I always buy 1 more mango then I need in case I chose wrong. Slice the stem-end of the mango off to reveal the pit, then place the mango on the flat, cut side and slice off the two cheeks that are running on either side of the pit. 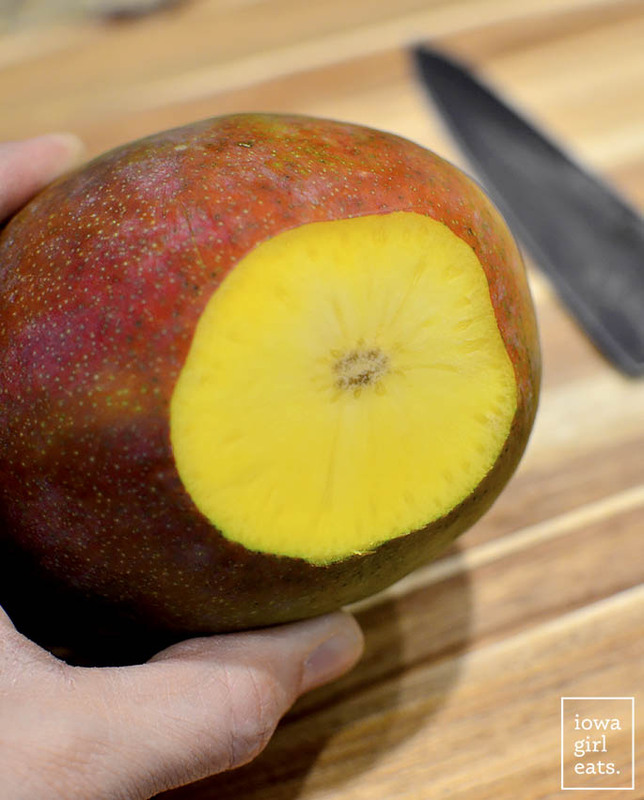 Holding the mango cheek in your hand, or placing it on a cutting board if you’re not confident with a knife, very carefully slice the flesh into strips without slicing through the peel. Turn the cheek 90 degrees then slice the other way to create cubes. Invert the mango so the cubes pop up, then slice them off. Ok, assembly time! Spoon a couple scoops of chopped pineapple into the bottom of a stemless wine glass, or other fun cocktail glass, then dollop in a few scoops of SoDelicious CocoWhip. It seems every food blogger has success making homemade coconut whipped cream but sadly I am not one of them – the consistency is never right! 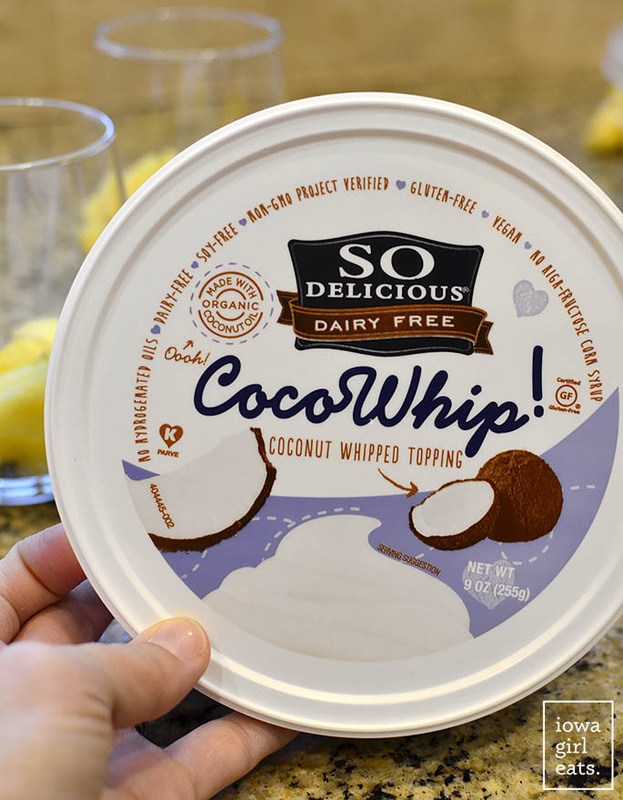 I’m obsessed with GF/DF CocoWhip, which is smooth and whippy, plus it provides the all-important coconut component of our pina colada parfaits. Next layer on sliced bananas followed by more CocoWhip, and then few scoops of chopped mango. The final touch is crispy toasted coconut chips. 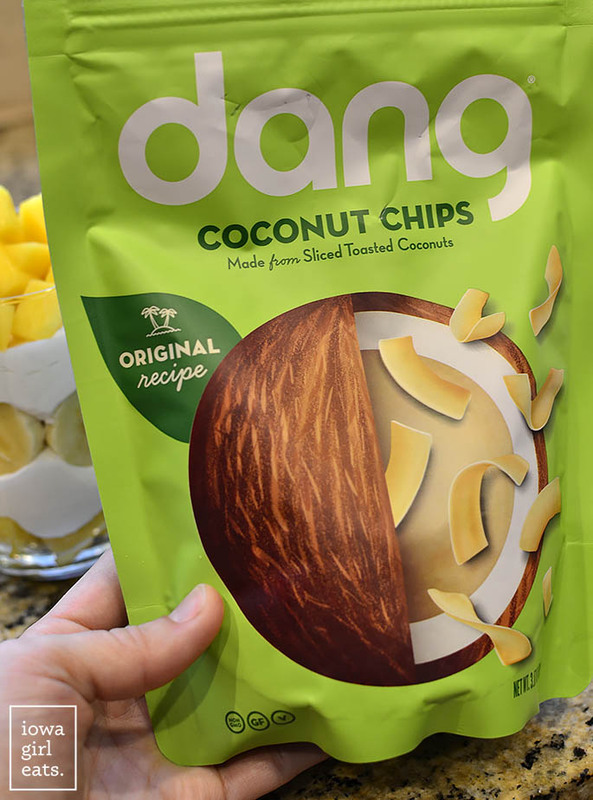 I LOVE these chips by Dang Foods (available at HyVee, Super Target, etc.) They are, as the name implies, so dang good! Layer 3 more parfaits with the fruit and CocoWhip then dig in and be instantly transported to somewhere warm and tropical. Hey, even if it’s gloomy and snowing where you live, the sun’s still shining somewhere – if only in your mind! 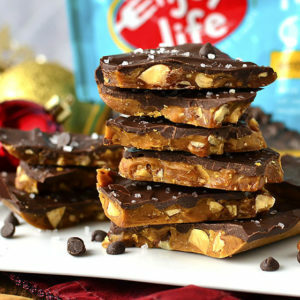 I hope you love these easy and delicious treats – enjoy! 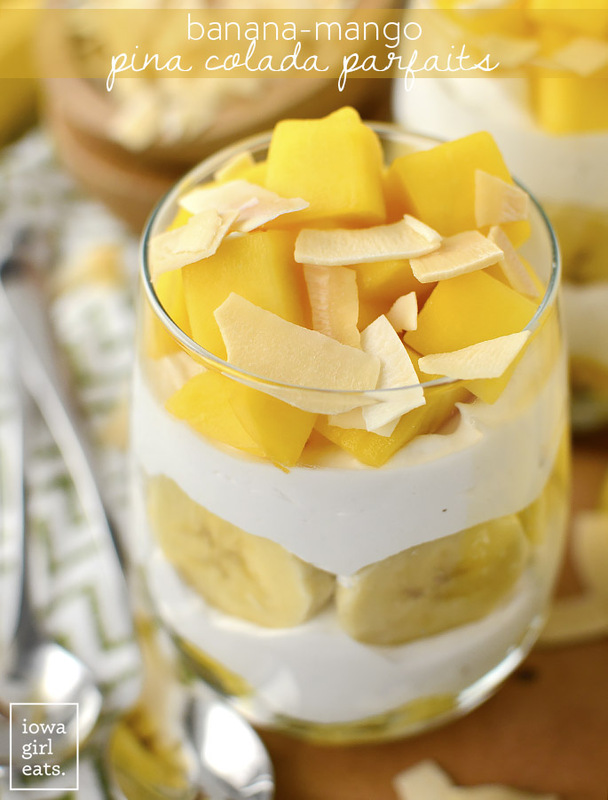 Banana-Mango Pina Colada Parfaits will give you the taste of the tropics without having to step foot on a plane! 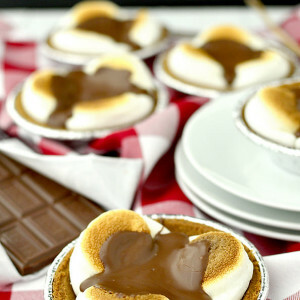 This fresh and gluten-free dessert recipe is the perfect escape and great for entertaining. Spoon a couple scoops of pineapple into the bottom of a stemless wine glass or other stemless cocktail glass. 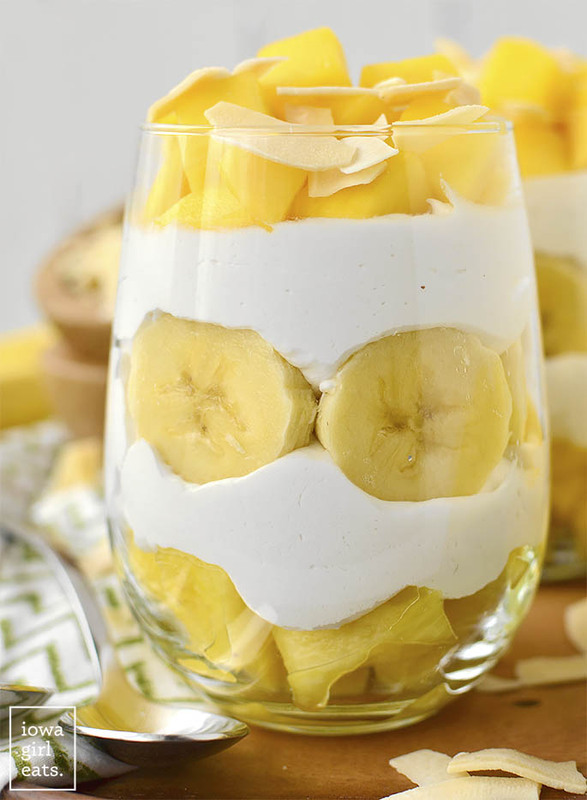 Dollop Cocowhip on top then repeat fruit/CocoWhip layers with sliced bananas. Top with chopped mangoes and toasted coconut chips then assemble 3 more parfaits and serve. 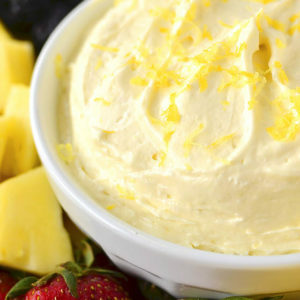 You could make your own Coconut Whipped Cream for this recipe instead of buying store-bought. 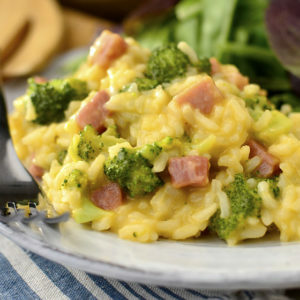 I've never had much luck with it, but recommend starting with this recipe if you want to take a whack at it! I will be 36 weeks pregnant so no exciting plans unfortunately. My kids looooove the beach though, its a great vacation destination for us as a family. Summer 2016 we went to Florida when my kids were 7, 4 and 1.5 and they loved it. Ocean resort with a pool plus the ocean right there was perfect. Maybe next year!! Congratulations to you, Gail!! its so weird how different places can be so different. In AZ I’m all but dreading the return of the HOT blazing summer! I totally know how you feel – I try not to complain too much in the humid Iowa summers because I know how much I’ll miss them in the dreadful winters! oh good heavens i am so desperate for a beach i want to cry!!! 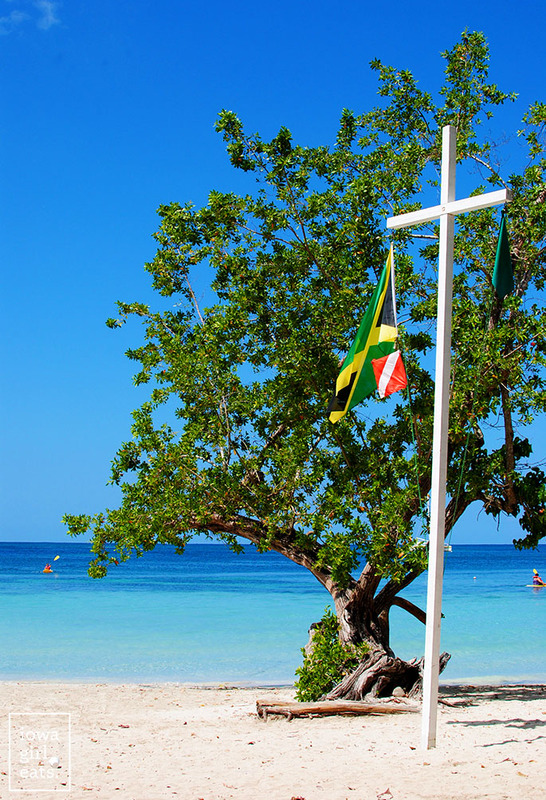 thank you for this quick mini escape <3 <3 and sending wishes of warmer weather super soon! Kristin: Sometime within the last few months, you mentioned a really great cleaner for glass-top stoves. I can’t find it……which post was it or can you tell me the name of the cleaner (you have to find a local demonstrator to order it)? Many thanks! It’s Norwex Cleaning Paste I’m pretty sure! Norwex cleaning paste, Pauline! Couldn’t live without it! 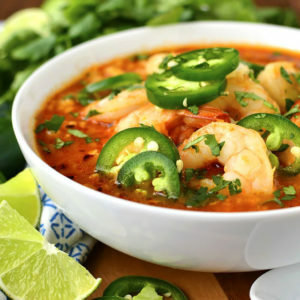 This recipe make me think about summer beach, vacations that I which it comes sooner. how very creative and inspiring while in the depths of winter, love the coconut chips too! Thank you for the inspiration! *raises hand* Me! I could definitely use a warm, sunny vacation. Last year, we went on “spring break” and it was so needed. I think I need to make that a tradition.